In the United States, Basketball has been the second most popular team sport among youth for over 2 decades. Basketball has always been a highly accessible sport but as leagues become more competitive, money plays more of factor. Home and away jerseys, gym rentals, basketball equipment and transportation are staple elements of a basketball team which coaches and parents know come with a cost. Basketball fundraisers are a great driver to fund a basketball team in need of good equipment and facilities. 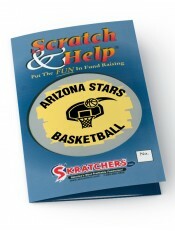 Basketball teams continue to use a multitude of fundraising ideas and products to raise money. They usually consist of events such as car washes, dinners, and raffles. Another common fundraiser is a restaurant night, where the restaurant donates a percentage (usually 10%) from all sales on a specific ‘basketball supporters’ night. Teams often choose to sell products as well, such as t-shirts, cookie dough, candy bars, and other food and promotional items, which typically turn a profit of 40%-50%. Unfortunately, in many cases, the coach and team come up with fundraising ideas that simply don’t take off – and nothing is worse to the motivation of a team than a fundraiser that yields minimal return. For over 15 years, Just Fundraising has helped basketball teams in organizations including Youth Basketball of America, USBA, WBA, and AAU, achieve their fundraising goals. We know that fundraising can be challenging so we work with you to make the experience fast, easy and profitable. 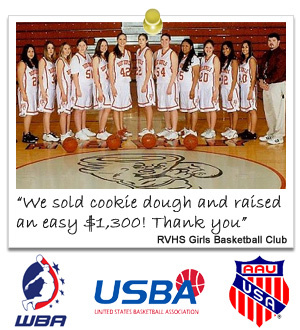 We have helped high school and community basketball teams achieve their goals with fundraising profits as high as 90%! Our winning line-up of no money-up-front fundraisers, means you can reach your fundraiser objectives with no financial risk. For fundraising tips on how to setup your next basketball fundraiser click here or scroll-down the page. IS THE FUNDRAISER PRODUCT OF TOP QUALITY? There are lots of folks who will proudly provide to an excellent cause but an incredible item is an awesome motivation. Promoting something which most people enjoy will assure your cause is appreciated and quite often your supporters are going to be asking when the upcoming fundraiser might be! If you offer top quality fundraising goods, you will ensure happy supporters which will purchase from your basketball team again. DOES IT OFFER A SUITABLE PROFIT LEVEL? As pointed out, great products can certainly create helpful change to your fundraising events, however if they don’t make a profit to your basketball team they aren’t going to be of any help to you. Be sure all your conviction adds up by selling something that yields at the least 40% profit for your team. More money stands for even more time on the court! DOES IT HAVE THE BEST PRICE POINT? 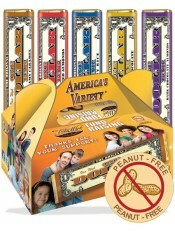 Virtually every town is unique - their cost threshold for any fundraiser item may vary from $1 to $20 - ensure the product you’re providing is costed affordably for the community. IS IT IN DEMAND? Tune in to your area. You have to sell something people truly want. 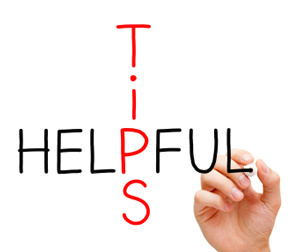 Follow this straightforward word of advice and it'll improve your fundraising sales tremendously. What’s greater than an item which advertises itself? Look at providing each seller their own private ‘account’, so they’re exclusively rewarded for the funds they individually raised. Challenge your team with incentives for fastest / largest sales . Split into teams and incentivize a winner for biggest profits . Publicly compliment your team for a really good job. Maintain the feeling light and entertaining so there is no stress that's involved. Volunteers and players need to see the amount of products you wish for them to supply so you're able to reach your basketball team’s mission. Volunteers should be aware of why they may be fundraising and where the money may go - e.g. We must have an extra $2k for bus rentals for the rest of the away games this year. Provide volunteers with the ultimate pitch within a letter. It must include a listing of your fundraiser product features and benefits, plus the objective of your fundraiser, to enable them to successfully get the word out and bring about sales amongst friends, neighbors and co-workers effectively. Employ social networking sites like Facebook & Twitter regularly to spread the word with regards to your fundraiser to parents and friends to make sure the word can extend further with a mouse click. Be certain that a big “Thanks!” goes out to all parents, supporters and volunteers following the fundraiser. It’s an impressive thing for them to unite under your cause so make them aware just how much you value their commitment! Small youngsters should be with grownups when going house-to-house. Teenagers of an older age should utilize the buddy system making certain to have no less than 2 players traveling together. Do not enter in the residence of strangers whenever going house-to-house. Fundraising activities should take place out from the door step, quite a few feet from the door to ensure neighbors and passersby have a very clear view. Do not keep large volumes of cash currency. Have volunteers store cash in a secure location on a frequent basis to be sure they are not bringing too much when going door-to-door. 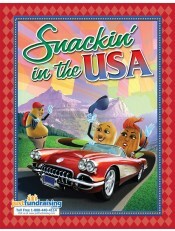 We did a fundraiser with Snackin in the USA and Raised $3,437.00. We will be back again next year! The purpose of our our fundraiser was to be able to purchase uniforms and the equipment that we needed. Thank you for helping us reach our goal.